Digital Realty Trust, which owns 122 data center properties in cities around the world, plans to establish Digital Open Internet Exchanges to expedite the carrier-neutral exchange of traffic. Specifically, the company will provide the necessary data center infrastructure to support member-governed Internet exchanges, a model that has proven successful across Europe. Digital Realty plans to operate as an endorsed data center partner with the governing bodies and endorsed IXPs (internet exchange providers) of Internet exchanges in each of the major exchange locations in North America, Europe and the Asia Pacific region. The initial rollout for Digital Open Internet Exchange will take place in the New York metro area and Northern Virginia, followed by deployment in several other U.S. markets. “Digital Open Internet Exchange is a game-changer for the entire IP and networking community, and for our customers,” said Michael Foust, Chief Executive Officer at Digital Realty. “By creating a truly open Internet exchange environment, we are supporting the community’s desire for neutral exchanges that are more efficient and cost-effective than those available today. By monetizing a range of "Location Insight Services" (LIS) mobile operators could unlock a market opportunity worth $11 billion by 2016, according to research compiled by STL Partners and released by JDSU. 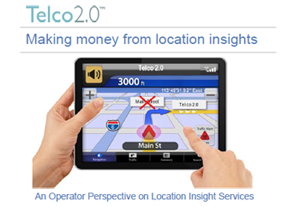 Location Insight Services would leverage aggregated and anonymous "trend" information collected from connected consumers’ mobile location data. The study draws a distinction between LIS and Location Based Services (LBS) for individual subscribers, a market that is estimated to reach $12.7 billion by 2014, according to Juniper Research. So far, mobile operators have struggled to monetized LBS, as most of the revenues have gone to over-the-top (OTT) content players. The STL Partners research shows that, by contrast, the Location Insight Services segment offers operators a new opportunity to monetize their location data. Mobile operators have the opportunity to aggregate huge volumes of anonymous location data over time and delivering value either directly to businesses, or via partners such as retail planners and advertising agencies. The research highlights how organizations in industries such as retail, transport, and advertising could benefit hugely from unique LIS that only mobile operators can provide, once anonymous location data has been collated and analysed. For example, mobile analytics could provide valuable insight on the people passing through a given shopping area over time. "The findings of this report mark a step change in the perceived value of location data and the way in which operators use it,” said Shirin Dehghan, former Arieso CEO, and now head of the location intelligence business unit since its acquisition by JDSU. “For some time, OTT players have led the way in using real-time location data to provide location-centric services to consumers, such as special offers or vouchers. LIS puts the power back in operators’ hands allowing them to monetize the value of their unique asset, mass location intelligence, creating new revenue streams in times where traditional business models remain under extreme pressure." 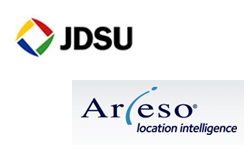 Earlier this year, JDSU acquired Arieso, a developer of location-aware software for mobile network operators, for $85 million in cash. Arieso, which was based in Newbury, United Kingdom, developed a multi-vendor, location-aware network monitoring and optimization solution that delivers intelligence for more effective network performance engineering. It also supplied an automated network planning technology that searches all possible configurations to deliver optimum network designs. Arieso said its proprietary algorithms provide highly rich and targeted data from mobile connection events to give mobile operators visibility into service level activity and usage patterns. Arieso’s bookings for calendar 2012 were approximately $27 million. 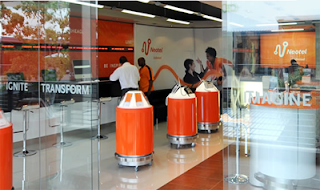 South Africa's Neotel announced that its flagship broadband service NeoBroadband, is now also available over its new LTE network. NeoBroadband powered by LTE is a fixed wireless solution designed for Small and Medium businesses (SMB) as well as large Enterprises. The solution uses a fixed installation to connect business offices via Neotel’s LTE network, which operates in the uncluttered 1800 MHz band spectrum. The initial release of the NeoBroadband over LTE is focused in Gauteng and offers download speeds of 2 Mbps, 5Mbps and 10 Mbps on an unshaped, uncapped package ranging from R999 to R2899 per month. Sunil Joshi, MD & CEO of Neotel said “The NeoBroadband powered by LTE brings business grade high speed LTE for the small and medium sized as well as large businesses. Neotel is using its LTE network to deliver efficient, stable, low contention, unshaped and uncapped internet to its business and retail customers as well as for last mile requirements. By using fixed wireless deployment Neotel can optimise the number of connections to each tower thereby delivering better speeds, consistent user experience and minimal disruptions." Mavenir Systems announced the first commercial deployment of virtualized Rich Communication Services (RCS-e) in a multi-tenant Network Functions Virtualization (NFV) environment. 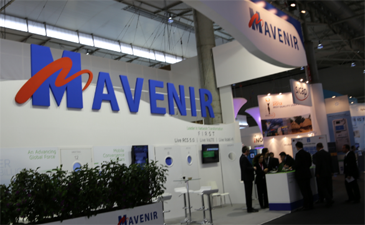 Mavenir confirmed that its previously announced Virtualized IMS platform is being used by Tier-1 operators in Europe. The operators are currently rolling out Mavenir's NFV technology as part of their VoLTE /RCS rollouts. The commercial deployment of RCS-e services in a virtualized, multi-tenant environment was launched in 2013 to serve subscribers across multiple countries. "We are seeing increased pressure on mobile operators to reduce the cost and complexity of network service deployment creating a market for disruptive transformation with more efficient NFV based networks,” said Pardeep Kohli, President and CEO, Mavenir Systems. "Many of our customers are already seeing the agility and the benefits of Virtualized IMS in their live networks, not just in lab trials." The second round of funding from the FCC's Connect America Fund will provide broadband access to an estimated 600,000 homes and small businesses. The FCC announced that Service Providers in 44 states and Puerto Rico requested over $385 million from the Fund. These funds are to be matched with hundreds of millions of their own dollars. Deployment must be completed within three years. "Broadband is no longer a luxury but is essential in today's society to finding a job, getting an education, receiving quality health care, and staying connected with family and community," said Acting FCC Chairwoman Mignon Clyburn. "This second round of support from the Connect America Fund will leverage private investment and connect hundreds of thousands of rural consumers and businesses to the robust broadband that other communities have long taken for granted. I'm delighted that requests for support in this round have exceeded our expectations, putting us that much closer to the day when all Americans have access to broadband." In July 2012, the first phase of the FCC's "Connect America Fund" kicked off with about $115 million in public funding being allocated to bring broadband to nearly 400,000 residents and small business owners in 37 states.Many projects are now receiving funding and are expected to begin immediately/ All projects must be completed within three years.The FCC estimates that nearly 19 million residents currently lack access to broadband. Cox Business announced a strategic partnership with ViaWest covering colocation and cloud services in Las Vegas, Phoenix and Southern California markets. 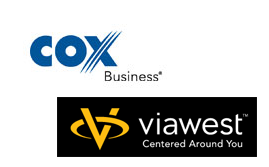 Cox Business will provide secure fiber network connectivity matched with ViaWest's colocation and cloud infrastructure solutions. Earlier this year, ViaWest opened its 110,000 square foot data center in Las Vegas which earned the colocation industry's first Tier IV design certification in North America. ViaWest plans to open its 90,000 square foot enterprise-class, multi-tenant data center facility in Phoenix early in 2014 with Cox Enterprises as its anchor tenant. "Our Cox Business customers have a growing need for scalable IT infrastructure solutions that enable them to access mission critical data anytime and anywhere," said Mark Bowser, executive vice president and chief financial officer, Cox Communications. "By partnering with ViaWest, we have an enhanced product offering that now includes a full suite of secure cloud and colocation solutions to meet the infrastructure needs of our customers." Proximion, a privately-held company that supplies optical modules and sub-systems based on Fiber Bragg Grating (FBG) technology, reported record sales growth for the six-month period ended June 30 2013, up 78 percent compared to the same period 2012. 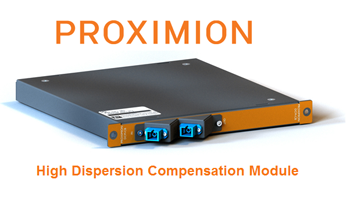 Proximion attributed the growth to a large extent to its recently launched DCM-HDC product for ULH 40G and 100G coherent systems. 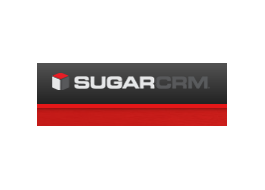 SugarCRM, which offers an open-platform web-based customer relationship management service, announced a $40 million equity investment by Goldman Sachs & Co.
SugarCRM will use the investment to expand its global reach. The company also announced the appointment of Antoine Munfa, a vice president at Goldman Sachs, to its Board of Directors. Piper Jaffray & Co. served as SugarCRM’s financial adviser during the funding transaction. SugarCRM is headquartered in Cupertino, California with European headquarters in Munich, Germany and Asia Pacific headquarters in Sydney, Australia. Marvell posted quarterly revenue of $807 million, up 10% sequentially but down 1% year-over-year. GAAP net income was $62 million with GAAP EPS of $0.12. "Our results in the second quarter were at the high-end of our guidance mainly due to better demand and share gains in our storage end market and strong double digit growth in our mobile and wireless end markets," said Dr. Sehat Sutardja, Marvell's Chairman and Chief Executive Officer. "Many of our customers are introducing new devices using our innovative solutions, which should drive continued success across all of our end markets. We expect growth to be driven by increased traction in areas such as mobile handsets, tablets, connectivity, smart home devices and SSDs." Marvell's financial outlook for the current quarter predicts revenue in the range of $850 to $890 million.